The story of a crossed love that is star to every wandering bark. Together as husband and wife, Nick Ward and Lena Grant ran a successful boutique law firm in Minneapolis, vanquishing all their legal foes side by side. When Nick's charmingly erratic behavior finally became too much for Lena, the marriage and the partnership ended. But--like C. K. Dexter Haven and Tracy Lord--it seems that Lena and Nick just can't quite separate. Lena works out fiercely, keeps her dates with the boring and conventional Preston Winter, and daily battles on against corporate greed. But Nick's not doing so well. Still brilliant and devilishly clever, he is now also almost crazy. He is prone to fantasy and the big gesture, and he engages frantically in guerrilla activism for the sake of animals wild and domestic. Nick doesn't make plans; he has visions. And eventually his antics put him back into Lena's hands. While she tries to navigate the legal waters into which he's thrown them, Nick veers out of her wake and into the midst of a strange set of companions, including Oscar, his psychiatric attendant and Action Comics collector; Ralph and Alice Wilson, the rebellious managers of the city animal shelter; and an aging Russian hound named Wolfram. 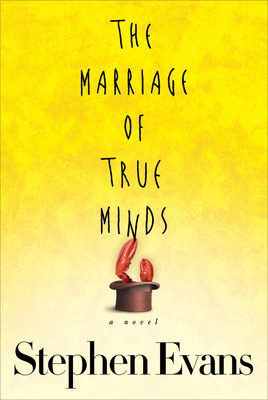 Often laugh-out-loud funny, with bright wit and brilliant machine-gun dialogue, The Marriage of True Minds sweetly explores modern love, undying idealism, and one cracked partnership that can't be sundered--from without or from within.